Combine CARTE D'OR Crème Brûlée / Crème Caramel Dessert Mix with 1/2 the quantity of milk and mix well. Bring cream and remaining milk to the boil. Stir in prepared mixture and half the lavender. Return to boil, simmer for 2 minutes, stirring continuously. 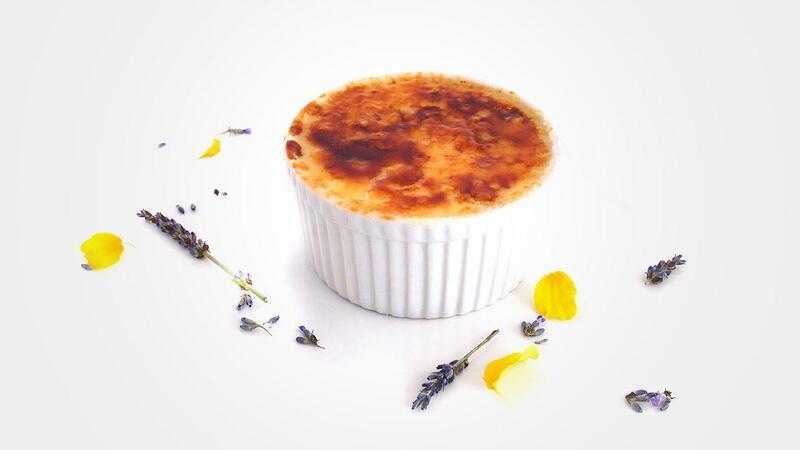 Fill serving moulds with crème brulee mixture and refrigerate for at least 2 hours. Sprinkle evenly with sugar and caramelise with a blow torch. Garnish with remaining lavender and edible flowers.